Whether you're looking to launch an already successful business, rebuild a business coming out of the economic downturn, or if you have the best problem a startup can have--more business than you can readily handle--Capital Invoice is here to help. After the downturn, this contractor is looking to rebuild. As a popular web designer, business is booming, and she needs to keep up. She runs a successful cleaning service and now needs to expand her brand. Manny is a sub-contractor, like his father before him, and his son, who works along side him today. His second generation family business took a hit a few years back as the economy lurched. No one was building, and many past projects had yet to see payment or completion. But now today, as America rebuilds, the jobs are available again. However, the bank will not loan Manny any working capital due to the impact the Great Recession has had on his personal credit score. His contracting company is looking for a rebuild of its own. Capital Invoice is Manny's partner in rebuilding his family business. CI can give Manny a factoring facility based on his customers’ credit, not his own. Manny has been able to grow into big projects that require Progress Billing. Unlike most factoring companies, Capital Invoice will factor for the construction industry and progress-billed projects. Don't let quick success be a problem. Boom is a good sound, let us help you manage success and invest in your future. Alex's startup web design firm was a dream come true. Her designs had her own unique style, eye-catching, contemporary, and crisp. Always original, always her, and always what the client wanted. Each job was an advertisement for another job and soon enough her eye-catching work caught more eyes than she ever expected. For Alex it was not only raining business, but an instant downpour. She was soon faced with a choice, turn away business that's here today--but might not be tomorrow--or, expand to meet demand. Of course, to expand, Alex needs capital, and with invoices pending for 30 to 120 days how could she reconcile the past, and past work, to invest in her own immediate future? Alex's decision lay in the smart way, partnering with Capital Invoice. Capital Invoice gives Alex the access to cash immediately to hire new employees and grow the business. With factoring, Alex now has a predictable and steady cash flow to meet her new and growing payroll each week. Without factoring, Alex would risk having to tell her new employees that their biggest customer did not pay on time and their paychecks might be delayed. With Capital Invoice handling all of Alex's invoicing she and her staff are now freed up for pleasing their own clients, not chasing them down for payment. Capital Invoice can help you meet new demand so you are always ready when new business comes your way. We'll help you franchise, we'll help you take success and repeat it. Bank on the past, so future enterprises are no risk. You know the market place, now expand it! Connie knows what she's doing. 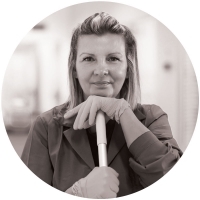 She started as a cleaning lady and now owns her own cleaning service for businesses. Her business model was a fit for her location and the local marketplace. But the marketplace has been expanding, with clients calling beyond the geography she can service with her current staff. Every new contract requires more employees to clean, which adds to the growing PAYROLL. Even though her new contracts are allowing favorable 30 day terms, there will be 2 payroll cycles required before getting paid. So where to go from there? That was Connie's question, and Capital Invoice provides the answer. Factoring frees up the cash from invoices, allowing her to hire more employees and make payroll. Expansion is the name of the game and Connie needs to expand to fulfill growing market needs and to create new markets outside the reach of her current customer base. Her business model brought professional cleaning services to one area of town, and that reputation spread beyond her original plans. Connie's next step is to reach distant markets. Capital Invoice is her partner to further capitalize on her success. Succeed, franchise, repeat, that's the smart way, with Capital Invoice.